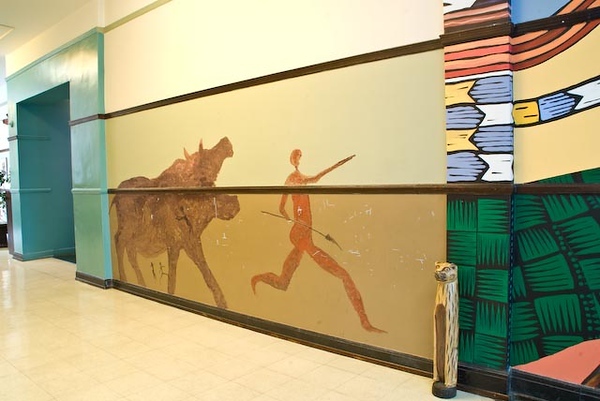 The African hallway is for 2nd and 3rd graders. An artist painted the petrigliffs. The sculptures are all museum quality from a gallery called Arms Akimbo. The photographs are by Mike Hetwerth, a National Geographic photographer. The photos tell the story of the dig for dinosaur Sue. Paul Serrano donated the Sue tooth cast. A 300 year old African bed is now a group writing table.